…and that means time for spring CLEANING! The cleaning of costumes should always be done professionally or with care, but what happens when you have an emergency on set? How do you get that stain out of the actor’s shirt before he’s called to set? How do you refresh the armpits of a shirt or dress that is worn over and over? How do you keep rental shoes healthy for multiple wears? Salad oil stain on a shirt? Try WHITE CHALK! Gently blot out as much of the oil as you can with a clean cloth then take crushed white chalk and gently rub into fresh stain. The chalk will absorb the oil and you can “lift” the stain out with a lint roller or if you have the time, wash out in cold water. Yellowing armpits or lingering underarm odor? Try ANTIBACTERIAL SOAP! Bacteria is the culprit when it comes to discoloration and odor. Use antibacterial hand soap to eliminate those problems by gently rubbing into the problem areas and wash in cold water. Multiple users in your rental shoes? Try END BAC! 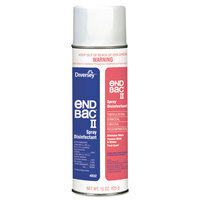 Stop the spread of foot fungus and odor with End Bac. Spray into shoes after each use to keep shoes fresh for the next user. Keep discoloration and odor at bay with Kleinert’s Underarm Shields! The self adhesive moisture absorbing pad keeps wet stains and odors away. Grab a pack of 12 for only $7.95! Keep your rental shoes fresh in between uses with End Bac! It’s formula helps keep bacteria in check. Grab up a can for $15.00! 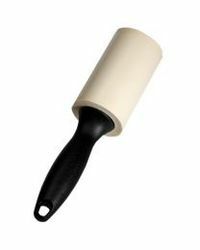 Keep your clothing lint free with a lint roller! Easy detachable sheets make it perfect for any kit! Only $3.50 each! Keep your hands or surfaces clean with Wet Ones! The easy dispensing top makes it a must have for any kit! Grab a can for only $4.00! Do you have a go-to product that you must have in your kit? Do you have a cleaning trick that has saved you on set? TELL US! Share your tips and products on our FACEBOOK page or INSTAGRAM page. Be sure to follow us for tips, tricks, and products all this month!